We all know Belgians for their chocolate but Mickey takes the sweetness of this track to a higher level. And not in a corny way. On the contrary, in a delicate, elegant, thoughtful way just as we know the Belgian producer. For „Sweet Baby” he carefully doses the beeps and clicks with a bit of a dreamy vibe, topped of with intriguing vocals from heaven.. 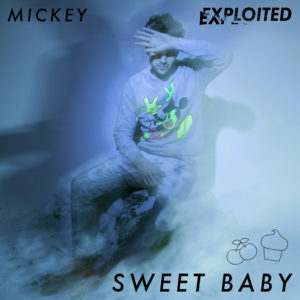 Yes, Mickey is back on Exploited. His labeldebut „Walk Away” went straight into the Beatport Deephouse Top 10. „Sweet Baby” is definitely one that will stick, figuratively of course.